Former Texas Rep. Beto O'Rourke and former Secretary of Housing and Urban Development Julián Castro said they would disclose their tax returns, The Texas Tribune reported. New Jersey Sen. Cory Booker - who released 15 years of taxes during his 2013 Senate campaign - and South Bend, Indiana, Mayor Pete Buttigieg also pledged to release their returns. 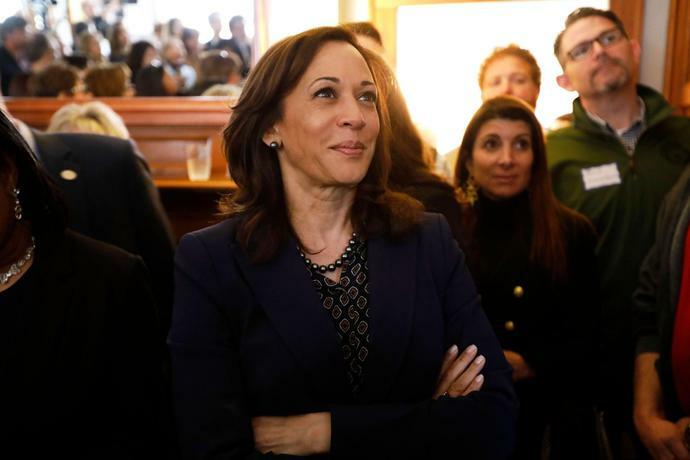 Harris' campaign said Sunday that the release of her tax returns "is a stark contrast with President Trump" and that she "supports congressional legislation requiring a president's tax returns to be made public." House Ways and Means Committee Chairman Richard Neal, D-Mass., asked the IRS to hand over six years of Trump's tax returns, citing a law that says the Treasury Department "shall furnish" the committee with "any return or return information" upon request. Trump's attorneys argued the release requires "legitimate legislative purpose."